Inheritance Matters | What share is a relative entitled to? 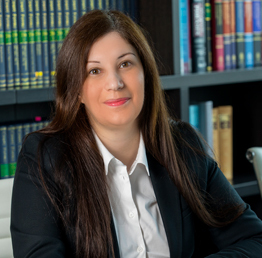 - AGP & Co, A.G. Paphitis & Co: Cyprus Lawyers, Cyprus Law Firm. Home / Legal / Inheritance Matters | What share is a relative entitled to? The Cypriot legislation provides for four classes of kinship. Please note that members of a class exclude the members of the following class. According to the provisions of the Law on Wills and on Succession (Cap. 195, s. 44) a person becomes an inheritor if he/she has a kinship relationship up to the 6th degree with the decedent. After the repayment of any debts or liabilities, the spouse is entitled to a share in the statutory portion, i.e. the part of the estate that cannot be disposed by will and in the part of the disposable portion that remains undisposed, if any. The remaining of the statutory portion and of the the disposable portion that remains undisposed, if any, will be distributed to the relatives of the deceased according to the degree of kinship. Living descendants, of any of the natural children of the deceased, that had passed away during the lifetime of the deceased person. If at the time of death of the deceased there are living ascendants from both sides, i.e from the maternal and from the paternal side then the ascendant of each side will receive half of the share. If the ascendants of each side are more than one, then the half share will be distributed in equal shares. The closest in degree of kinship living ascendants up to the sixth degree of kinship. However, the closest relative excludes others.